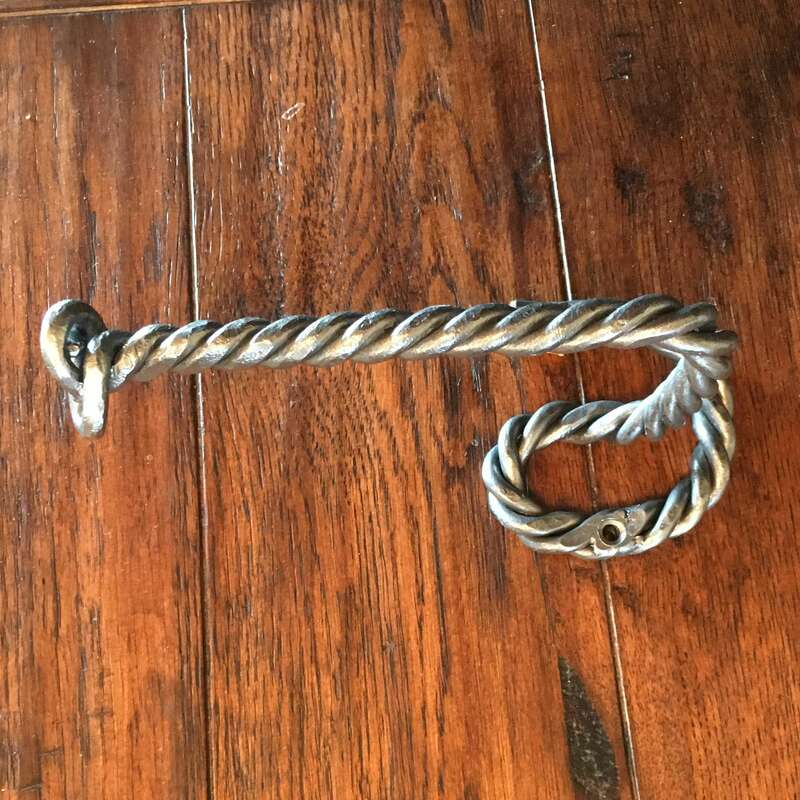 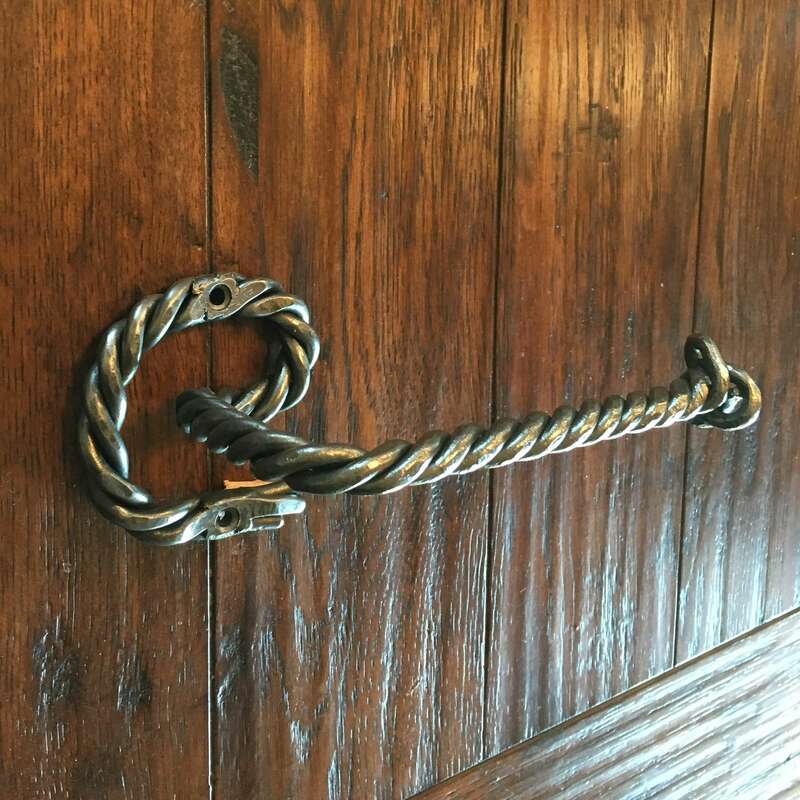 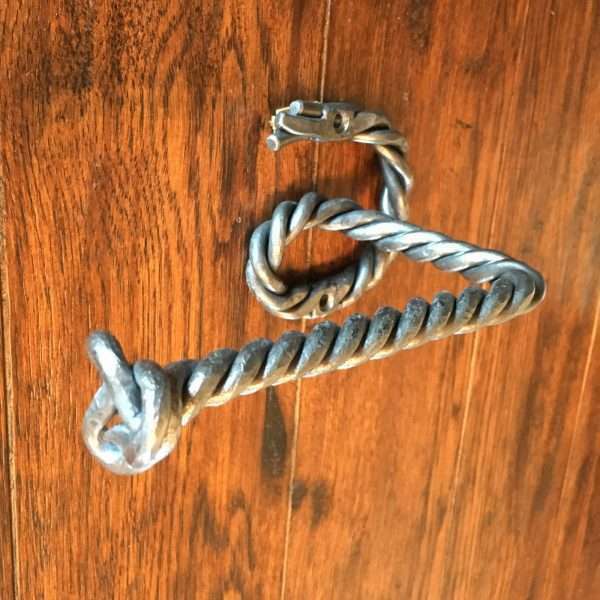 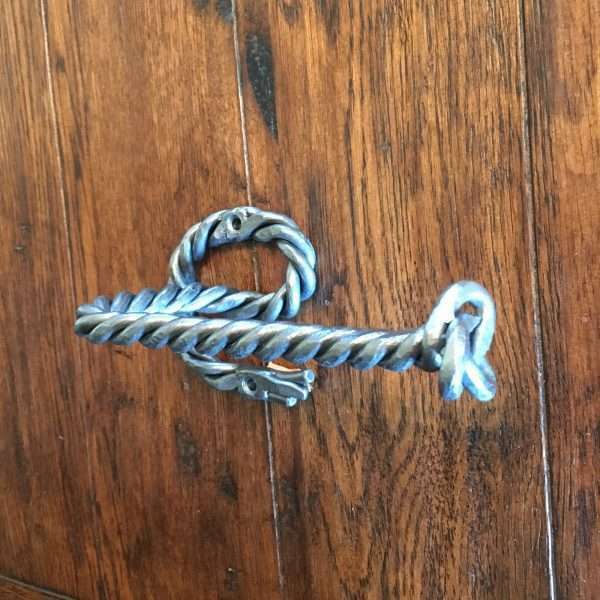 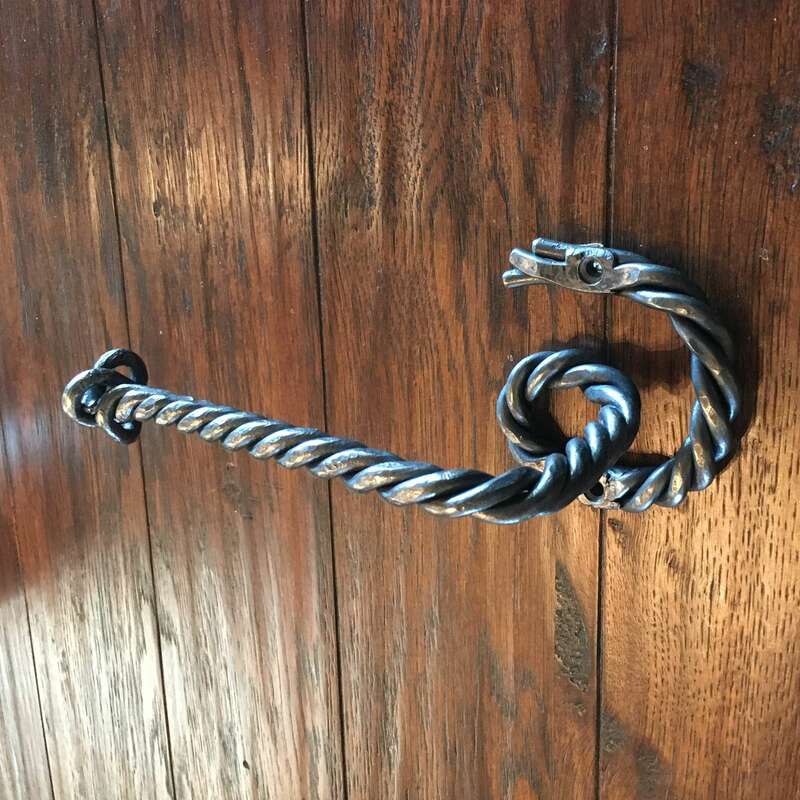 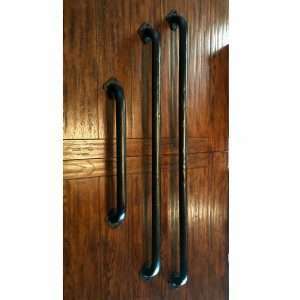 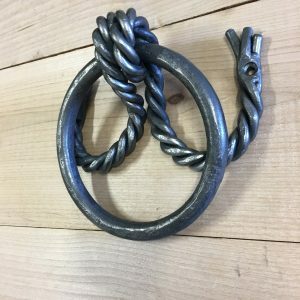 Hand forged wrought iron twisted rope toilet paper bar or holder. 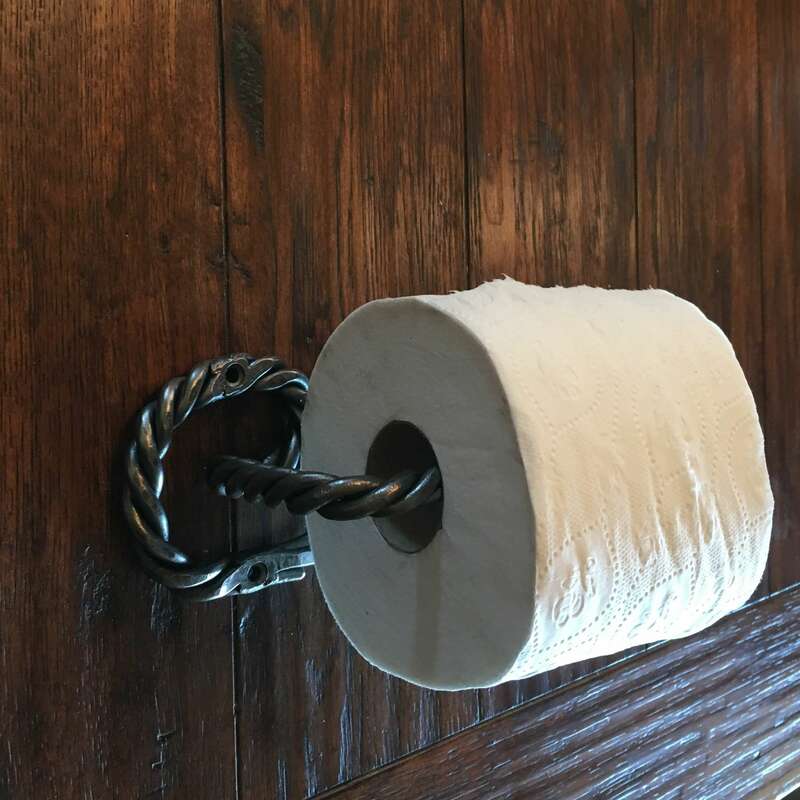 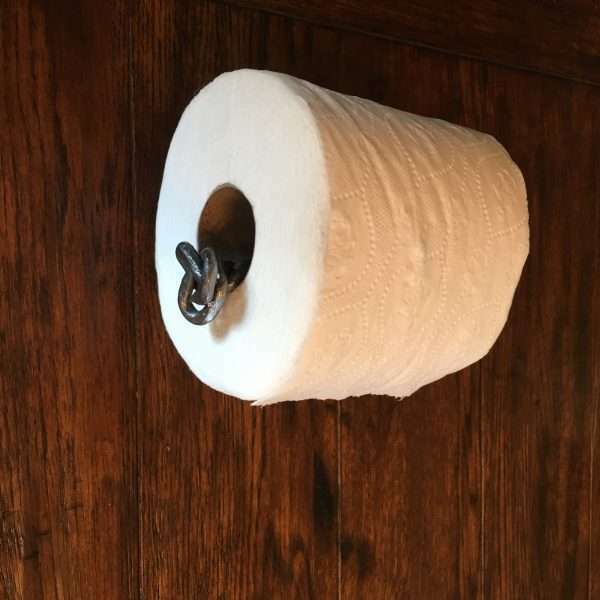 3 pieces of 1/4″ round bar are twisted to form a rope, then hammered and shaped into a Toilet Paper Holder. 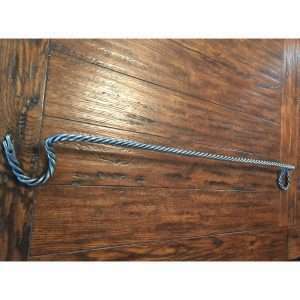 One end of the twisted rope is shaped into the beginning of a crown knot to form a nicely rounded end and hold the paper roll on the bar. 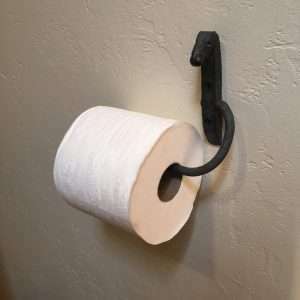 TP holder is straight out of the forge and lightly brushed to be nicely rounded and antique looking.